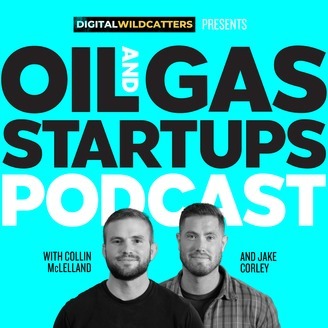 The Oil & Gas Startups Podcast is showcasing emerging technology & the stories of industry founders, investors and leaders. 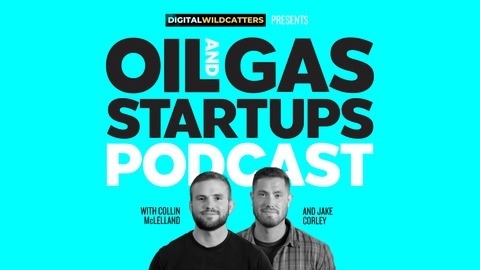 In this episode, Collin and Jake sit with Alex Chandy of 2DA Analytics to hear about how they have created an analytics software that optimizes the movement of commodities through the production & conversion value chains. Reach out to Alex and learn more about 2DA Analytics. Subscribe to Digital Wildcatters on Youtube. Follow Digital Wildcatters on Facebook. Oil & Gas Global Network is hosting a happy hour on April 30th, from 6-9 PM. This month’s happy hour is brought to you by Cresa, HEB and Karbach Brewery. Cresa’s Oil & Gas Practice Group provides occupier-only corporate real estate consulting to companies associated with the oil and gas industry, providing superior service and unique insight throughout the world’s exploration areas. With a collective team experience of over 150 years and more than 10 million square feet of completed assignments, Cresa’s agile team can help guide companies ranging from start-ups to super majors in all of their real estate needs, advising clients from site selection and acquisition through workplace strategy, construction and logistics analysis. Karbach– OGGN’s official drink sponsor. Bringing you Texas-brewed beer! Find out about their beer here. H-E-B– OGGN’s official food sponsor. Find out more here. OGGN is always accepting Happy Hour sponsors. If you would like to get your company in front of our large young, professional audience, reach out to our Project Coordinator, Julie McLelland by e-mail. We are throwing a launch party for our newest podcast. Permian Perspective – sponsored by BHGE, and it will be the beginning of our monthly happy hours in the Permian Basin. RSVP here! Leading professionals from upstream, midstream, and downstream companies will come together to exchange insights on the latest developments in Machine Learning. Also, hear from top solution providers on the latest technologies available and the future of what is possible with Machine Learning capabilities. Case studies and interactive panel discussions will enable delegates to also benchmark against industry best practice. The Offshore Technology Conference (OTC) is where energy professionals meet to exchange ideas and opinions to advance scientific and technical knowledge for offshore resources and environmental matters. The annual Mergermarket Energy Forum is the go-to event to learn about M&A and private equity opportunities in North America’s energy sector in addition to updates on the latest trends across various subsectors. Join us in 2019 as experts discuss dynamics opening up pathways for deals as well as generating headwinds over the next 12 months. Come join us as we kick-off OTC with the Fourth Annual Multinational Monday event. Visit with us throughout the night as you come and go to other receptions. Enjoy listening? Support the show by leaving a review in iTunes.